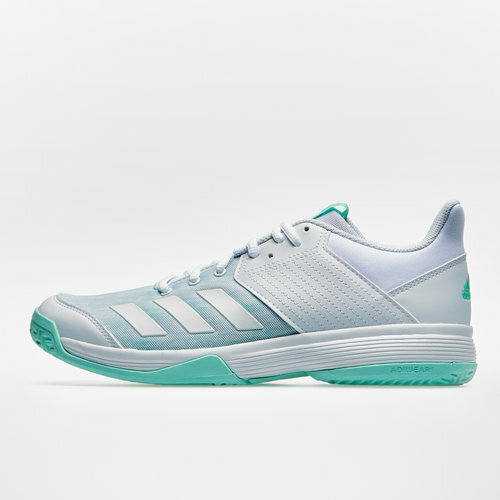 Show that you mean business on the court when you play and look the part in these adidas Ligra 6 Netball Trainers in White, White and Clear Mint. These trainers have been crafted with a lightweight EVA midsole which helps cushion landings and absorbs impacts. Th4e lace fastening allows you to get a secure fit to keep you comfortable when you're in action whilst the durable Adiwear outsole provides impressive traction and durability.